Activision Blizzard's Tespa launched its revised collegiate program this week. Cloud 9, Digital Chaos and Evil Geniuses probably do not mean much to the average person, but for avid esports fans, these are some of the highest ranking teams in the United States. 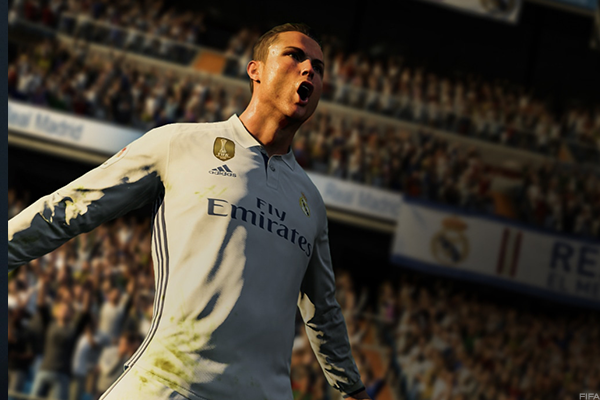 As professional video gaming has exploded from $250 million in global revenue in 2015 to $700 million in 2017 and is expected to reach $1.5 billion by 2020, according to video game research firm NewZoo, those in the industry are seeking to embed esports into the national culture. To do that, video game publishers are placing an emphasis on collegiate competitions. Activision Blizzard Inc.'s (ATVI Tespa, in August, launched its revised collegiate esports program whose focus is to expand the network of college esports enthusiasts in North America and accustom competitions to a regular schedule for consistent broadcast. Tespa is expected to give out $1 million in prizes and scholarships for its league competitions during the 2017-2018 school year. On Aug. 30 Boise State University has joined the list of major universities to approve a varsity esports program. The list already included University of Utah, Georgia State University and Miami (Ohio) University. "Just like sports around the world, we want [esports] to be part of the culture," Tyler Rosen, co-president and co-founder of Tespa, told TheStreet. "Parents sign their kids up for little league growing up, then they play for school teams, and once they're in college, they have fans rooting for them. It's a culture experience that really connects the population. It's the same idea; we want to create esports and gaming to be a cultural phenomenon in that we're competing but we're also creating opportunities for growing and people of all different backgrounds to come together." Rosen said affiliating competitions for games such as Overwatch, Hearthstone, Heroes of the Storm and, new this fall, Rocket Legend with the names of local universities for whose sports teams fans are already cheering helps to break down the barriers to esports and gaming that traditionally may have connoted negative stereotypes. It is also something Blizzard Entertainment is attempting to do at the professional level. In July, the company announced the names of the first seven teams to join its new international Overwatch League, which it said would start later this year. It is the first esports league in which teams are based in particular cities from New York to Seoul, South Korea, to create a local following as seen with traditional sports. Additionally, Tespa University is introducing a regular broadcasting schedule six days a week for its six leagues. Adam Rosen, Tespa co-president and co-founder, said that will make watching esports more accessible for both enthusiasts and casual viewers to enjoy consistently wherever esports are broadcasted, including Amazon's (AMZN live-streaming platform, Twitch.tv. Tespa University is now open to all college students, as well. Traditionally, Tespa members had to be affiliated with one of Tespa's 220 college chapters to enjoy special in-game content, member meet-ups and workshops. Now, any college student in North America can join. Adam Rosen said he hopes by opening up membership, more students can connect with peers passionate about esports and perhaps start their own chapter on campus. Tespa already has more than 65,000 members, and more universities are recognizing their own varsity esports teams, offering scholarships and the ability to represent their schools in competitions like other varsity sports programs. There is more than $7 million available in esports scholarships right now, according to the National Association of Collegiate eSports, or NACE, a nonprofit organization developing tools for advancing collegiate esports. Robert Morris University in Chicago was the first college in the United States to offer esports players scholarships in 2014. NACE has seen its membership grow from seven teams to 42 since fall 2016. 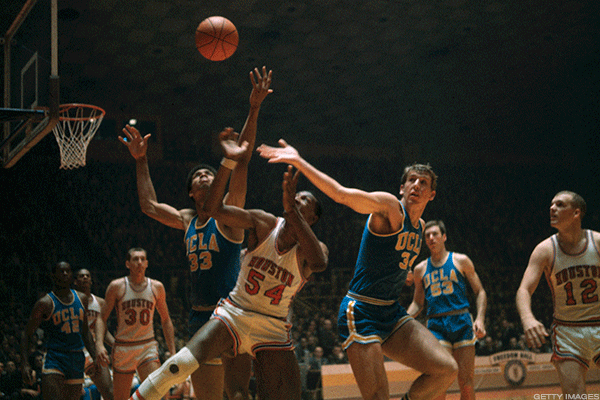 College sports used to be a lot more simple. That includes the University of the Utah, the first Power Five school to adopt a varsity esports program. Found underneath its entertainment arts and engineering program, its four new esports teams will give 35 students $1,000 scholarships, which Utah Esports Director A.J. Dimick said he hopes will grow with sponsorships. "I think in ten years, [esports] will be a central part of the collegiate experience," Dimick said. "Esports is a far bigger thing on college campuses than most people believe." But overcoming that has proven challenging for some. In May 2016, the Pac-12 Network announced that it would start esports competitions between the conference's universities starting the following academic year. That, however, never came to fruition. Dimick said while Utah's administration already was devoted heavily to video gaming through its top game development academic program, others were more hesitant. He said esports are still in the "wild wild west" right now, and they lack a template for creating a varsity program. Utah and NACE hope to help create that structure. NACE Executive Director Michael Brooks told TheStreet that esports have several unique challenges. The anonymity of players' usernames makes building a recruitment pipeline challenging. Additionally, since companies own esports, unlike traditional sports, they have the ultimate say in player eligibility as well as competition offerings. "Those are terrifying issues for an administrator," Brooks said. An unclear timeline in collegiate esports is why the University of California, Irvine, which announced earlier this summer that it is adding an Overwatch team to its varsity esports program, is now offering one-year scholarships this upcoming academic year instead of four-year. "Things move very quickly with esports: if demand goes away for a particular game, we have to be flexible," said Mark Deppe, UCI's esports director. "We just don't know what the future holds. We don't want to make promises we can't keep." Publishers, however, said they are working to address those concerns and create a more detailed outlook for esports in the long term. To build up confidence, Tespa and Tencent Holdings Ltd.'s (TCEHY Riot Games have both developed standards for eligibility, including GPA and sportsmanship requirements, for their collegiate league competitions. "When you think to build a generational sport in college, it needs institutional support," Michael Sherman, Riot's collegiate esports manager, told TheStreet. "Clubs are grassroots efforts, they're self-organizing. Institutional support locks that in for decades to come...We don't want a program to be lost because officers graduate or really passionate members move onto other things. We want a permanence that comes with administration." When universities do adopt esports programs, it gives students interested in them a place on campus, which encourages academic performance and integrates esports into the college experience, said Jarrett Fleming, Maryville University's coordinator of athletics and recreation. 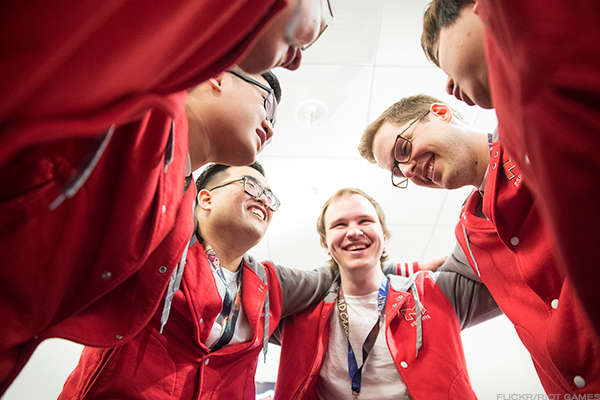 Maryville's League of Legends team won the national championship in May. "With esports, it is really their time right now," Fleming said. "There's no telling how big this thing can be. There are limitless opportunities."